Raisins Are Actually Good For Your Teeth! Every now and then, we hear about the damaging effects of raisins and other sticky foods on our oral health. But the fact of the matter is that leaving raisins or any other sticky food in your mouth for prolonged period without proper tooth brushing is what leads to oral problems. Basically, bacteria living in the mouth actually feed on food particles left on your teeth while working to produce acids. Eventually, these acids damage tooth enamel that leads to tooth decay. 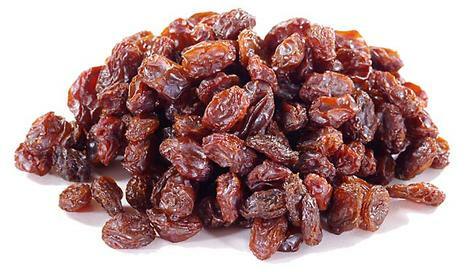 While raisins are sticky, they mainly have fructose and glucose- sugars that can’t be directly linked to the development of tooth decay. This means, the problem doesn’t have anything to do with eating raisins but it has more to do with leaving sticky foods like raisins in your mouth for prolonged period and not following a proper oral hygiene routine. In fact, you’ll be surprised to learn that raisins can actually help combat tooth decay. There are some chemicals contained in raisins, which work by suppressing the development of oral bacteria linked with cavities as well as gum disease. However, you need special care while munching on a handful of raisins i.e. brushing your teeth on time, using good fluoride toothpaste and having regular dental checkups.